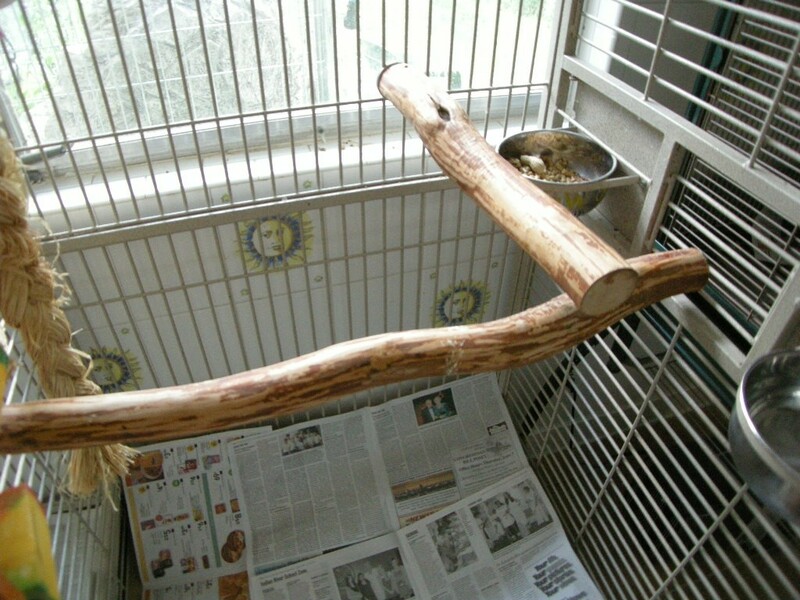 Shown is extra large straight perch over cage large perch, shortly after install Parrot has striped the outer bark off! Available in small, med, xtra lg, 2x lg. 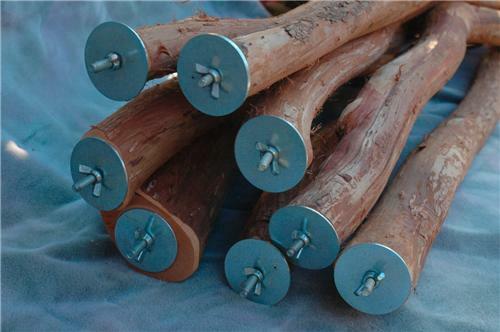 Also short , long, straight and Forked perches all diameters.